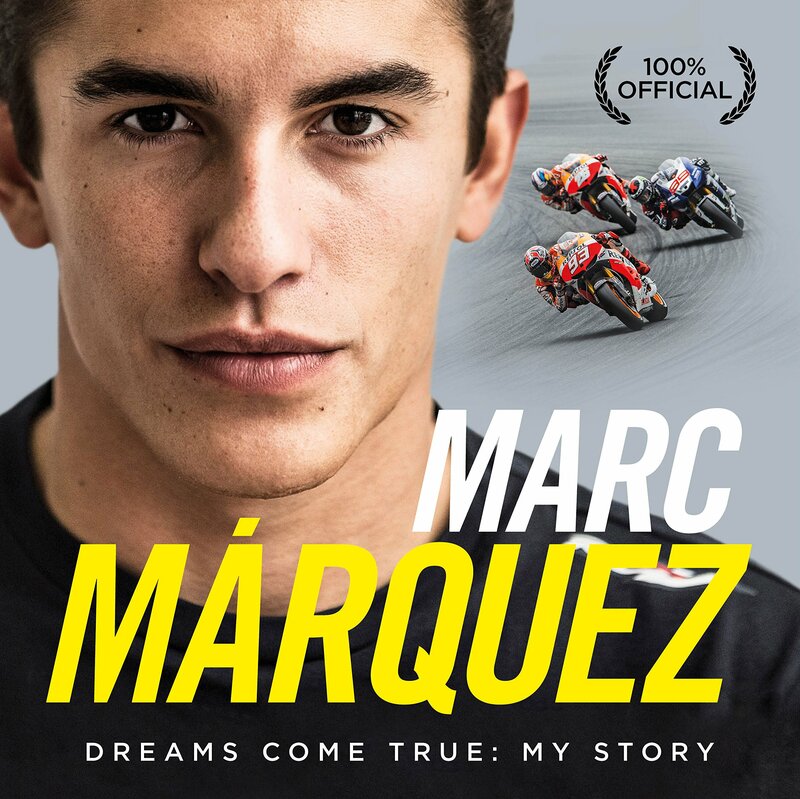 We’ve managed to secure an exclusive extract from Marc Marquez’ official biography. You might feel that at just 21 years of age there seems little point in writing a biography: how much of a story can someone so young tell? But when you consider that some riders spend a lifetime failing to achieve what the smiling Spanish elbow dragger has managed in such a short space of time, it’s obvious that there’s a story to be told. We’ve read the book from front to back and it’s a belter. Marc’s relationship with the family that delivered him to the premier paddock is as close as the family he’s nurtured in his own garage. Gaining respect from other riders in the premier class seems to come easily when you’re this good. his dad Julià, his mum Roser, his brother Àlex, his manager Emilio Alzamora, his coach Santi Hernández, his Honda bosses Shuhei Nakamoto and Livio Suppo, all the people at Repsol; wanting them to be excited at the prospect of the back-to-back 125cc and Moto2 champion rewriting the record books while earning unprecedented praise for a senior class rookie – it all came together at the moment when the 2012 Moto2 season reached its conclusion at Valencia’s Cheste circuit. It was a matter of getting off the Moto2 bike and on to the MotoGP Honda RC213V, which prompted a media scrum and led to an exclusive, historic, smouldering photo. 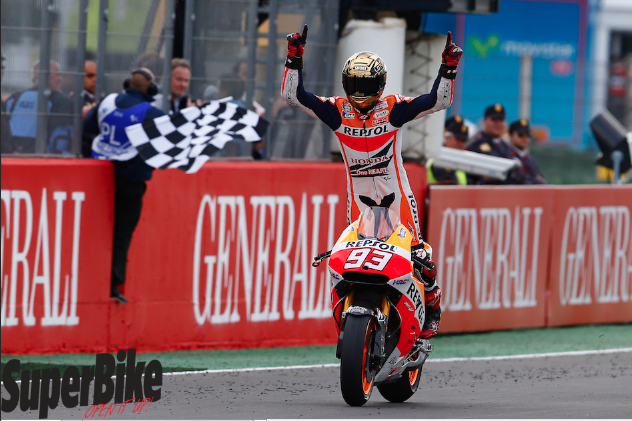 That debut ride at Cheste was very special, though Marc doesn’t attach much importance to it. ‘When you move up into a new category, your first task is to put yourself in control of the situation, work out how the bike handles, understand it, ask questions of it, watch, learn. No one put any pressure on me. 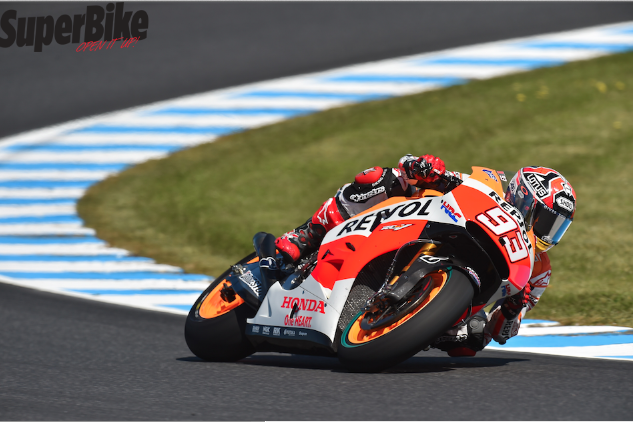 I had a two- year contract and Nakamoto, the boss, told me to take it easy – that’s right! 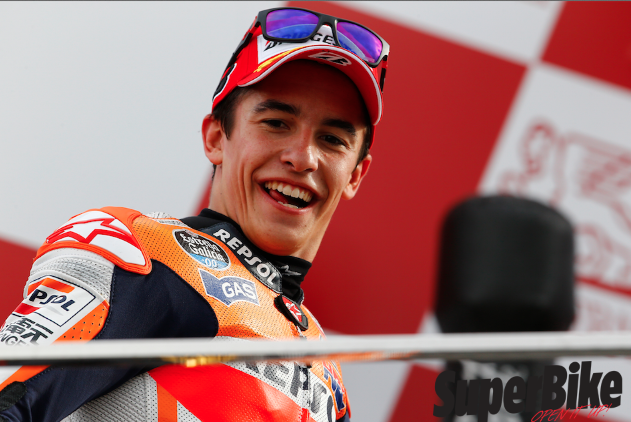 – he said to take it easy, but he also immediately added that he thought I’d make the podium in the first race in Qatar,’ says Marc, before bursting into fits of laughter. You can order your copy of his book from Ebury Publishing here. It’s beautifully written, has a fantastic set of images, many of them unseen until now. Priced at £19.99 it’s one to add to the Christmas list. Order your copy at Ebury Publishing.